Immigration certified translation, Who can do it in Texas? Immigration certified translation, in this post we tell you how to get it. You can be pretty lost when you move to a new city. You won’t know where the McDonald’s or KFC is. You will have to rely on GPS to find you the Wendy’s in your new town. Finding IMAX will be equally hard. But the only reason you knew about the location of these places in your previous city is that you went there frequently. Everyone loves junk food, and that’s why from children to parents, every member of a family know the directions to their favorite eating place. But when it comes to things that you don’t need very often, like currency exchange or translation services, you may not know where to go. You will have a general idea of the area where such services get offered, but you don’t know the merits and demerits of individual service providers. When you need something like translation, you will have a few options available to you. You can either go to your bilingual friend for help, or you can hire professional services. The type of translation you need will help you decide who you should go to. If you need the translation of a phrase or a letter your foreign friend or family member sent, your bilingual friend can be of help. But when you need official translations for immigration or court proceedings, you will need to hire an experienced translator or get in touch with a certified translation agency. Immigration certified translation is not something that your bilingual friend can tackle, and there is a reason for that. 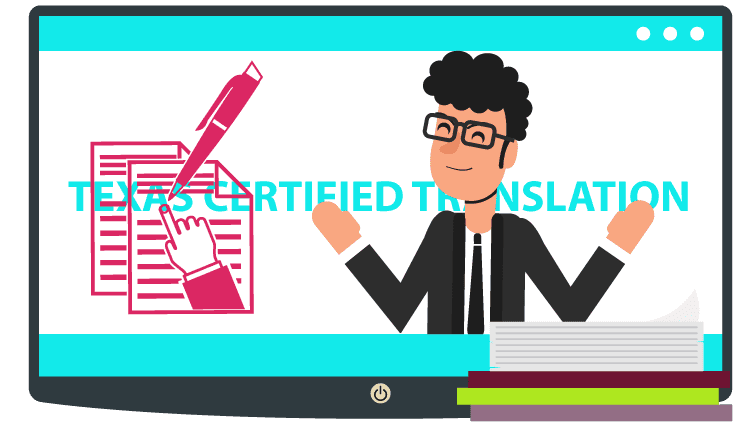 The immigration certified translation will be the most accurate translation of a document, and it will be accompanied by a certificate of accuracy from the translator or the translation agency. Your bilingual friend may know two languages, but they can’t translate official documents like a birth certificate with a hundred percent accuracy, and they can’t provide a certificate with their translation stating that the translation is accurate. Whether you have moved to Texas one month ago or living here for years, you may not know who can do immigration certified translation in your city. You should know a few things before you can find the answer to your question. If you know nothing about translation agencies, a few basic rules of selection can help you choose the best one. When you are looking up translation agencies, check out the reviews left by each agency’s former clients. The reviews will tell you all you need to know about the services of that agency. Once you learn about the quality of work provided by a translation agency through reviews, the next step should be to check the rates that agency is offering. When it comes to translation, a high price doesn’t equal quality work. All good translation agencies like the USA Translate offer affordable rates to the people of Texas so they can enjoy high-quality translations without having to spend a lot of money. The turnaround rate of such agencies is also outstanding. Once an agency has ticked all the right boxes, you can hire it to do immigration certified translation for you. There are translation agencies that charge high rates for certified translation. They will only be looting you. If you don’t want to spend too much and get the highest-quality translation, then USA Translate is the perfect choice for you.